D4 Surgicals India Pvt. Ltd. is one of the leading name in the field Hospital Furniture and Surgical Equipments. With a back ground of Manufacturing and exporting quality hospital furniture like Hospital beds, Trolleys, Tables, Couches, Gynec tables, Ultrasonic cleaners, side table and Lockers, Folding wheelchair, operation theatre lights and various other products for over three decades, one can now easily say that you do not need to go any further when it comes to your requirement for products served by D4surgicals. Not only you are sure of the quality you are buying but also of the price you are offered, the service and yes most importantly pre and post sales support. The team at D4 Surgicals (India) Pvt. Ltd. is known for its hospitality in hospital equipments and furniture. Over the years D4 Surgicals has been catering to many top notch hospitals across the globe with its superior quality products and competitive price. As one of the well established business houses from India D4S understands that they are into life saving equipments and a quick service is always the need of the hour and hence its has a well established dealer network across the country and internationally and is yet growing to further penetrate the world market at an growing pace. As its commitment to offer better product attributes in terms of aesthetics, reliability, simplified operation, durability, high serviceability and exceptional quality, D4 Surgicals has now come up with one of the most Innovative product which meets the requirement of not only the Hospital Care but even the Homecare industry. Electric motorised bed for Homecare and Hospitals with various models is first of its kind in INDIA and D4 Surgicals takes pride to be the first to introduce this product to the Indian market and sees itself to be one of the major exporters of Homecare Beds from India in the near future. Intelligent design and use of technology. Made of Wood, Metal and ABS which offers reliability and durability to these amazing beds. Separate Models specially designed for Home care and Hospital care. Easy to operate and completely remote controlled. Use of medically tested results, materials and process while manufacturing and designing of these electric motorised beds for home care and hospitals. Company is so confident of its product that not only is the product demo available but its also sells its product with a 15 day money back guarantee*. Many satisfied customers and dealers across the globe. D4 Surgicals has a clean and safe work environment, conducive to quality and efficiency. The company has an efficient, well-documented and controlled manufacturing & marketing systems for its products. It also has open lines of communications with its customers / dealers at all levels. One of the major reason of the reasonable cost offered by D4S is its dealer network, due to which company doesn’t have to incur unnecessary cost of marketing and product promotion which other wise could have increased its cost. 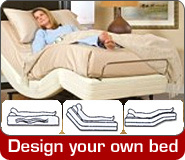 We invite all our potential customers to request for quote by customizing your bed which suits your requirement. In case you require any further information on our products then you may directly contact us and help us understand you better. For all our interested dealers or partners, we request them to kindly contact us for us to take this forward towards a long and fruitful business relation.